I did it again. This time, the bundle was a games bundle (The Humble Bundle for Android 4), which is Humble's normal fare. 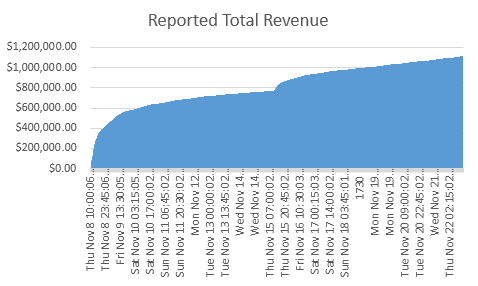 Also this time, I was able to collect data from the very beginning. 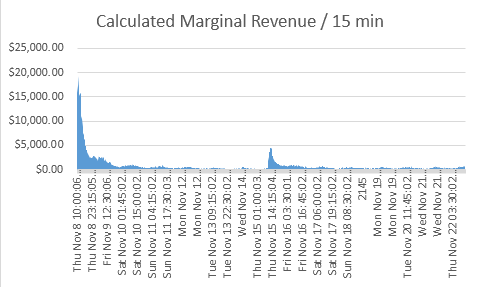 There was a period of 7 hours where my server got turned off and no data was collected, but that time slot was in the middle of the data collection with no major events occurring near it. I patched it up with a little bit of linear interpolation. 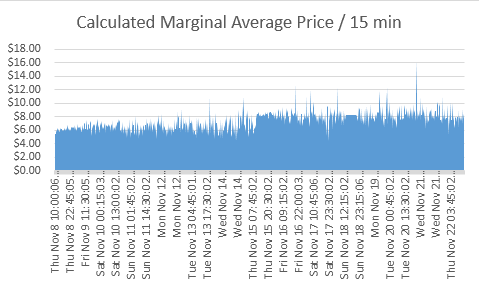 It shows up on the Marginal Average Price as a plateau, but is otherwise unremarkable. 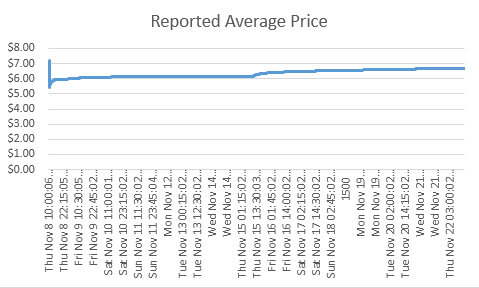 One thing about this graph that I was not able to capture last time is that the average price was actually highest at the beginning, before sinking to a low, and then slowly rising. The "event" in the middle is when games from the previous Android bundle were added as an additional bonus. 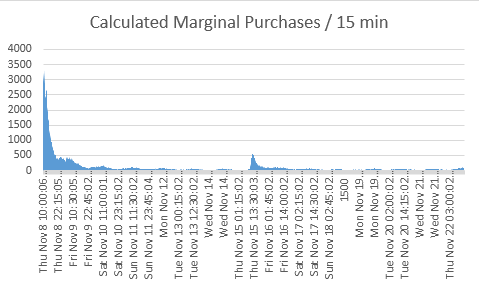 Interestingly, I was able to purchase at the point of lowest average price though I did beat it by making my purchase price a nice round number, thereby contributing to the bounce-back of the average price from its initial fall. The initial fall is probably due to a bunch of people paying $0, or $1 immediately just to get the basic games and/or Steam keys. 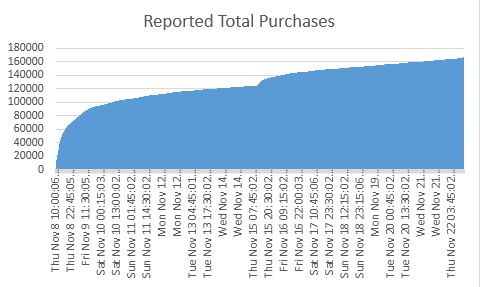 The ramp-up of initial purchases is quite high, as you can see. In this case at least, the initial "bump" was much more significant than the subsequent "blip" produced by adding more bonus content. A lot of people already have the previous bundle games, so this is somewhat expected. So geeky! I love data. Hmm. Actually, I think what I love is the information data provides.